Starts a staring contest with the enemy. This makes the enemy start to get nervous and all of a sudden die. 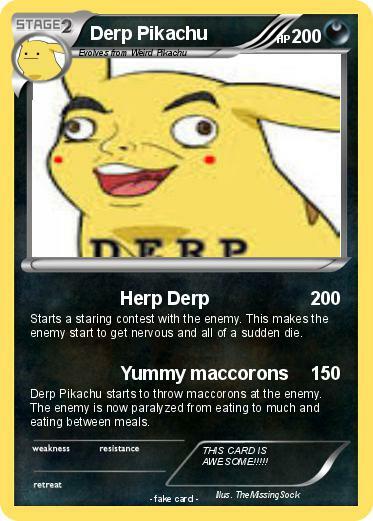 Derp Pikachu starts to throw maccorons at the enemy. The enemy is now paralyzed from eating to much and eating between meals. Comments : THIS CARD IS AWESOME!!!! !